The Environmental Protection Authority has now published its annual reports on the Emissions Trading Scheme, or ETS. New Zealand’s balance of reported emissions for 2016 was 66,986,843 tonnes of carbon dioxide equivalent (tC02e). According to the Section 89 report, in 2016 New Zealand’s reported emissions increased by 3,833,521 tonnes of tC02e from the previous year, to a total of 78,051,289 tC02e. During the same reporting period, the forestry sector and other activities (i.e. producing a product with embedded substances; or exporting hydrofluorocarbons or perfluorocarbons), removed a combined total of 11,064,466 tC02e. 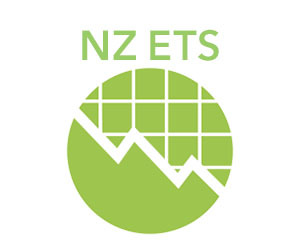 The Annual ETS report, also known as the ‘Section 89’ report.This provides information such as New Zealand’s total emissions over the previous year, and a comparison between different sectors. The ETS Facts and Figures – an informal summary of information about the scheme for the previous year. The Synthetic Greenhouse Gas Levy Report. EPA publishes these reports to keep the general public informed about the operations of the ETS, and to meet its responsibilities under the Climate Change Response Act (2002).